Synopsis: J may have been born a girl but he has always known that wasn’t who he really was. Now he is seventeen, he realises that he needs to do something to bring his body into line with who he feels he is. However, his parents and friends don’t always find his new identity easy to deal with. 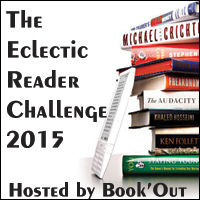 Reading challenges: Eclectic Reader Challenge – genre diversity. I always find it a bit of a problem reading accounts from a teenage point of view because the main characters always seem so self centred and difficult. Perhaps it is just too long since I was that age for me to really be able to identify with them. I’m sure that if you were the same age as J then you wouldn’t have this problem. 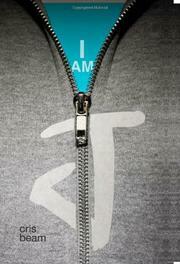 J is quite difficult to like. While I understand that being trans is difficult and would make you angry, there is little more to J than his anger and his gender. There is little sense of what sort of person he was. Perhaps this is because he is so desperately trying to be like the other boys that he never really develops his own identity. Again, I can see how this might be the case but it still made J difficult to get on with. There is a lot of gender stereotyping in this book – and I have found this with other trans books I have read. A lot of boys do this, girls do that. This is never really questioned and I found that and J’s homophobia very irritating. This book was not written by someone who is trans but by someone who has had a lot of dealings with people who are trans and this comes across I think. J is an amalgam of everybody who has ever been in his situation and Beam throws everything at the story – lying mother, distant father, friend who can only think of herself, older wise trans woman and so on. There is no doubt that it is good that books about being trans are now being written and maybe if I was trans I would find more to identify with here. However, instead, I felt detached and unable to completely empathise with J and that made me feel a little sad.